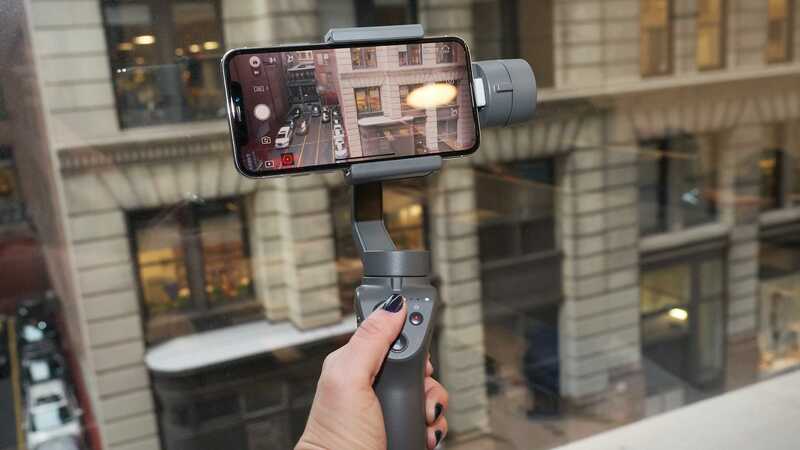 Running around the office with the DJI Osmo Mobile 2, I got a lot of questions. Specifically I got exactly two questions repeatedly. The first was about what I was holding. Each time, I explained that the weird selfie stick-like contraption I’d put my phone in was a mechanised gimbal that automatically stabilises my phone as I move around, so I can shoot video footage so smooth it looks like it was shot with the aid of a professional Steadicam. Then I’d jostle the little joystick on the Osmo’s handle, causing the entire arm of the thing to swivel around for a perfectly smooth pan, eliciting looks of impressed satisfaction. That’s when people would ask the inevitable second question: How much does this magic cost? When I told them it was £130, I’d get another set of contented nods. Considering how slick the Osmo is, the £130 price is very reasonable. It’s about as close to a no-brainer as a phone accessory can be nowadays. WHAT IS IT? 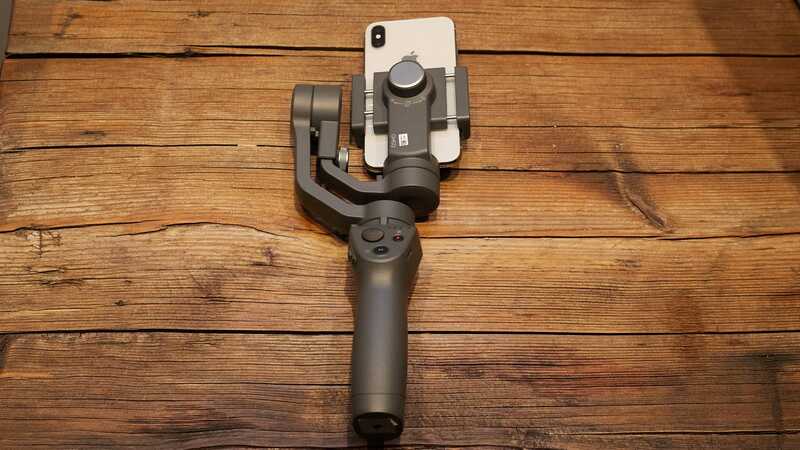 : A gimbal that lets you produce super stable videos with your phone. LIKE: It's crazy cheap and the footage it produces looks lovely. NO LIKE: The controls take a LOT of getting used to. It isn’t the accessory for everyone. If you never use your phone to shoot video, you don’t need it. If the camera on your phone is absolutely terrible, don’t even bother. If battery life is the biggest concern in your daily life, then you’re probably better off blowing your phone accessory budget on a Mophie. But if you’re a parent with a need to capture boring after-school football matches and dance recitals, or a pet owner, or a nerdy YouTuber who needs to record the every minutiae of daily existence, then this super cheap gimbal feels like it should probably be on your wishlist. 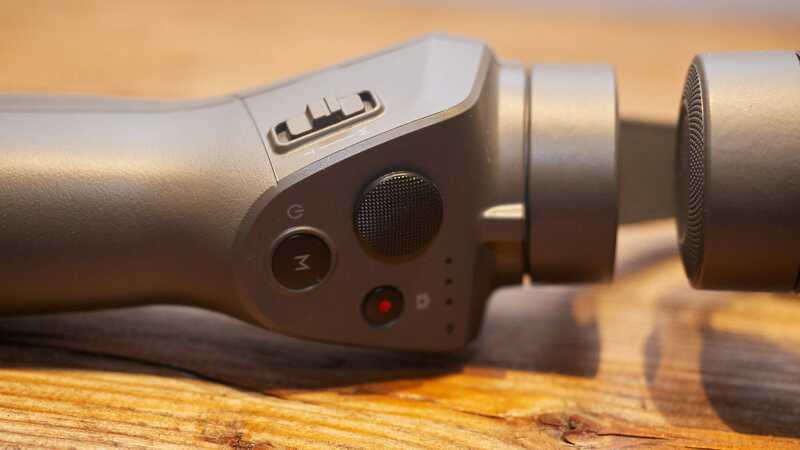 The DJI Osmo Mobile 2 is the second iteration of DJI’s gimbal for smartphones. The original gimbal did an admirable job stabilising smartphone footage, and its support of Facebook and YouTube Live meant it was a great solution for people looking to live stream their existence with as stable footage as possible. Yet the original Osmo Mobile also went for £320 before eventually dropping down to £200 last year. The thing was stupidly expensive and quickly undercut by knock off gimbals on Amazon that went for half the price. I’m pretty sure the only people who regularly used the original Osmo Mobile were employees of media companies stuck doing a tonne of Facebook Lives every month—jerks like me circa the summer of 2016. Creeping on a car park. This is what the battery level looks like at 16 per cent left on the Osmo Mobile 2. 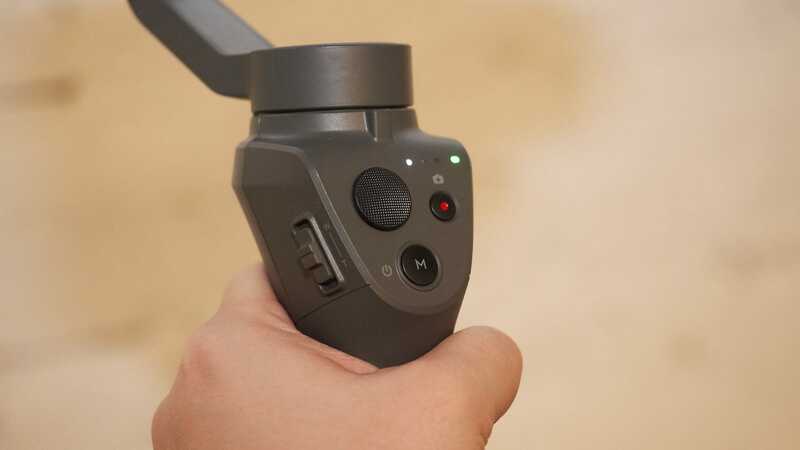 The controls are better labelled now too—even if it takes some practice to master the joystick that swings the gimbal around. After some use, I still accidentally pan up when I mean to pan down and overshoot my left to right pans when I’m in a hurry. Also, I have small hands, which makes the placement of the new zoom switch on the side of the device frustrating. While zooming with a switch instead of using my fingers to pinch zoom on the phone is a great improvement, having to use two hands because I can’t reach the control with one. Still, my biggest complaints about the original Osmo have been fixed, which means I can spend more time having fun with the new stuff—mainly two new timelapse modes. The original timelapse hasn’t changed from the Osmo Mobile. You hit a button, choose how long you want the timelapse to last, and how often it should snap a picture. Any number of free apps on your Android or iOS device can do this, and don’t require a fancy mechanised gimbal. The new modes for the Osmo Mobile 2 actually use the motorised gimbal to their advantage. The first, Hyperlapse, lets you take a timelapse while in motion, keeping everything smooth and stabilised. A boring walk on my way back from lunch actually looked cool as hell when I shot it in Hyperlapse mode. The second new mode is Motion Timelapse. This mode doesn’t take advantage of the stabiliser, but of the motor in the gimbal. It allows you to program points in a timelapse, which means when I hung out on a pier in Brooklyn last weekend, I could track the movement of boats without actually having to sit there and manually pan with the joystick for five minutes. 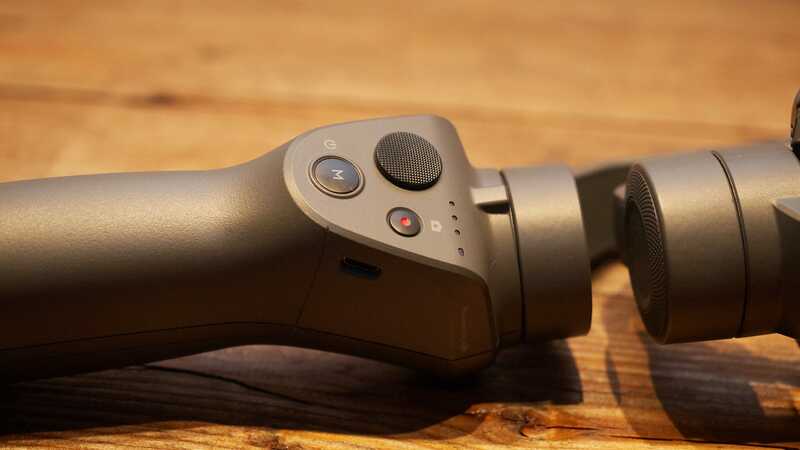 But let’s be real, the big selling point of the DJI Osmo Mobile 2 isn’t the variety of new timelapse modes, or the long exposure and panorama modes that were also available with the original. The selling point is that this is a really nice stabiliser for your smartphone, and it only costs £130. That’s cheaper than nearly every other gimbal available on Amazon right now (and certainly cheaper than the good ones). Even better, it comes from a company with a long history of great products and well-made apps. If you’ve been thinking about picking up a cheap camcorder to film your kid’s recital, or you want to experiment with low budget filmmaking, then this is an easy choice. Pick up the DJI Osmo Mobile 2—it’s so damn cheap you’d be dumb not to. It’s £130! That’s less than half the price of the original and at least £10 cheaper than competitors on Amazon. New Hyperlapse mode lets you take cool (and stable) timelapses while on the move). The new Moving Timelapse mode is a step up from a boring static timelapse. 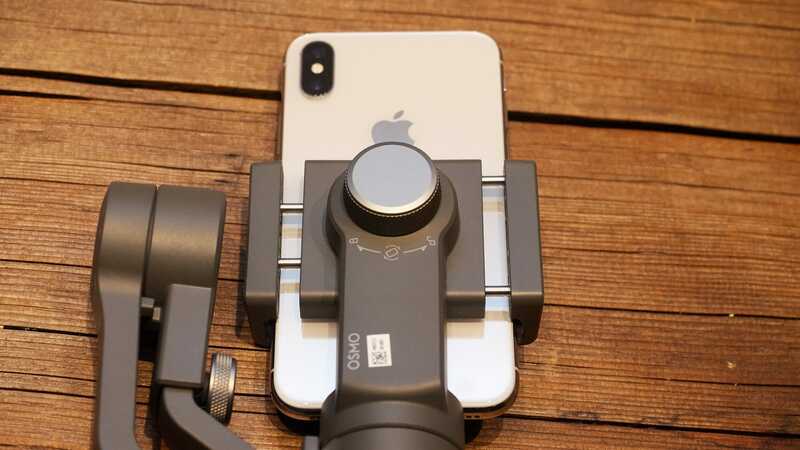 Video footage is as smooth as can be, making this the perfect tool for aspiring filmmakers or regular people looking to step up their smartphone camera game for cheap.